Ah, the joys of new life! 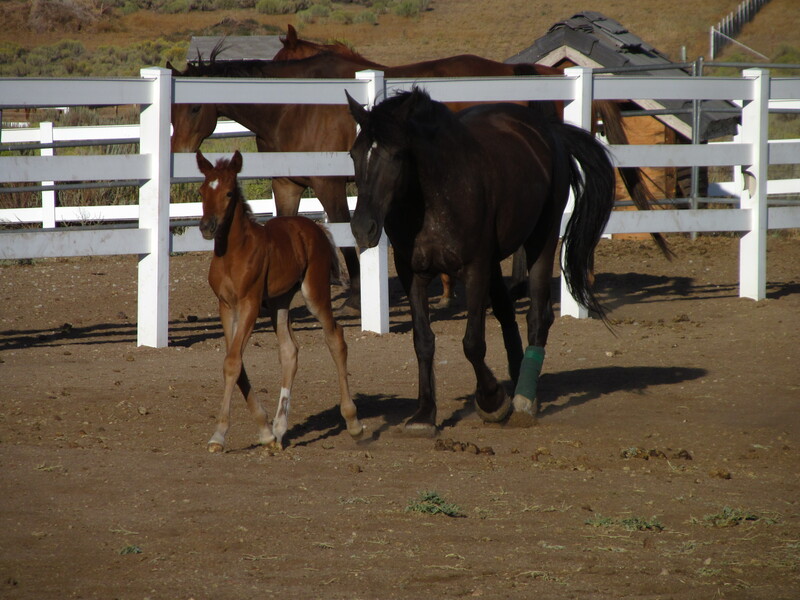 My mare, Fae’s latest accomplishment: Red Star Noir — entered this world on August 19, 2014 — and as I now count, he’s my eleventh new baby foal!!! I remember as a kid, some time during junior high, the horse calendar that hung in my room. One month there was a picture of an adorable bay-colored Arabian colt, perhaps just two weeks old. I remember looking and wishing and marveling at the beauty of his fresh life. I wondered what it would be like to hold him, pet him. Raise him, love him. And I decided: SOMEDAY, I’ll have a baby horse of my own! I remember wondering: Would I really? How? How could that be possible? But I tucked that wish away, along with my life-long desire to have, ride and love a horse of my very own. And I went back to living my junior high life. Not knowing if either of those dreams would EVER come true. What? Really? After all these years of begging??? Wahoooo!!! This is my dream come true! I ended up with a scruffy unregistered strawberry roan, Heinz 57-Appaloosa/Arab mix named Rebel. Said to be seven years old, he’d been a family’s “trail horse”. He had a long nose, beautiful eyes and a swinging black tail. Rebel was the perfect first horse for me. Rugged, rank — he challenged my limited skills and fulfilled my endless horse-addiction. He became the focal point of my existence. Rebel got me through the tough times, the lonely times, of junior high and high school. I LIVED for riding Rebel. Through him I experienced freedom. Riding, flying, through the wilderness on wings of horsey joy. Then, when I was sixteen, Dad passed away from a heart attack — changing EVERYTHING in my life — one fateful night. Did Dad know something when he told me those words, just weeks before he suddenly passed? Again, Rebel was my constant. My confidant. My outlet. My sanity. He was my freedom on four fabulously swift legs. And I turned to him even more after losing Dad. We would ride the Southern California mountain trails all day, every Saturday, The Doors singing “Come on baby light my fire . . .” from the transistor radio strapped to my saddle. Grit in my teeth, smile on my face, on and on and on, as far as we could go. Yet after finishing high school, I began wondering about the reason for life. What am I to do with my life? Why are we here? Where do we go after we leave this green Earth? Where is Dad now? I dropped out of University and did what I’d often dreamed I’d do. I rode Rebel into the California wilderness on a ten-day, soul-searching, solo trek. Just me and Rebel. My time alone in the wilderness toughened my determination. I overcame many obstacles, completing my “hero’s quest”, and I came back into civilization with new resolve. I will live my life to the fullest. I will live as close to Nature as possible. I will pursue all my dreams! Following my love for horses and animals, I worked teaching horseback riding, then milking cows on commercial dairy farms. I chopped down trees, sewed canvass, built a Sioux Indian Tipi — and lived in it — as close to Nature as I could be! 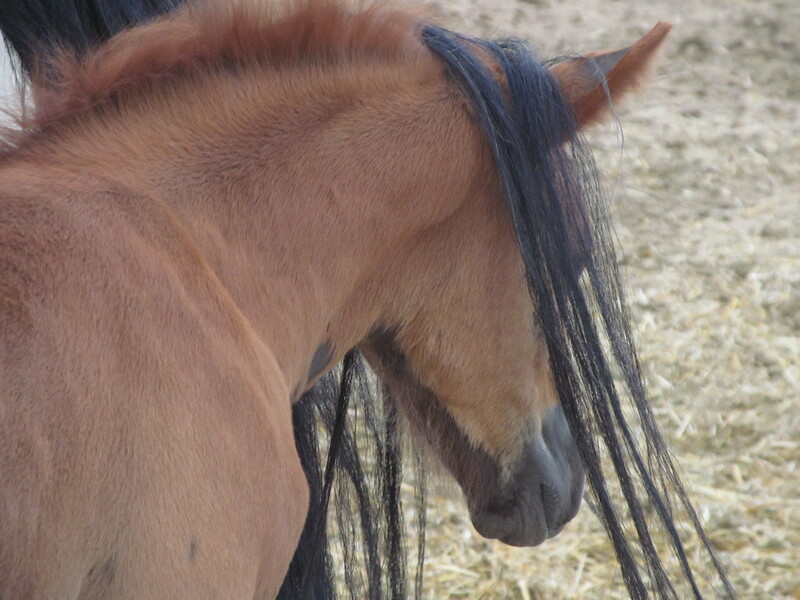 Rebel lived outside the Tipi in the pasture with me, only a sheet of canvass between us. Those were awesome times, living on the Earth, literally! With horses and cattle surrounding me. Until, eventually, Rebel aged and passed away. Afterwards I had a brief stint with another horse, an Arabian mare I called Stargirl. But she met with tragedy, and I was horseless for a number of my mid-twenties years. Eventually I went back to college, learned to fly airplanes, and started my own fashion business. Now, I was in position to own a horse again! So in 1980, I bought an Appaloosa yearling mare, named Fanta (Smokey Joe’s Fanta). Little did I know when I was outbid on the original mare I’d come to buy at auction that day, that the understated roan filly I ended up purchasing would continue her legacy in my life — some three decades later! Fanta’s combination of Appaloosa, Running Quarter Horse, Racing Thoroughbred, and (1/4th) Arabian gave her speed, endurance and silky-smooth gaits. Her BIG trot, bounding canter, and animated walk made her a pleasure to ride. After deciding to train her myself, and spending the next several years researching and accomplishing the task, I also ended up purchasing a purebred (in-foal) Arabian mare who soon gave birth to a beautiful, intelligent bay colt: AA Mentor. I got my baby horse after all! 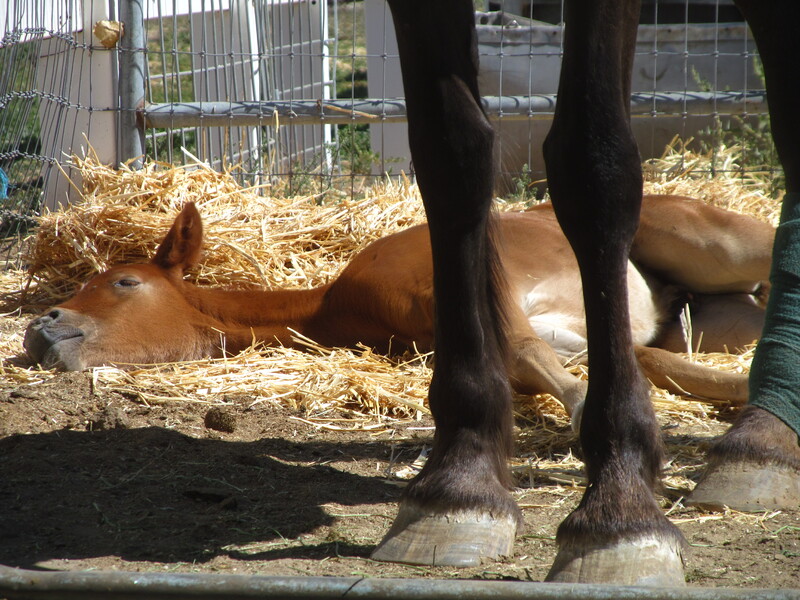 Under the lamplight, in the sweet smell of straw, breathing his fresh newborn scent, my baby horse dreams came true. Singing, cooing, rubbing his soft fur, I’d whisper of how we’d ride together, fly together — him carrying me, into the mountains, by the sea, over endless rolling hills . . . the wind rushing through our hair. Holding him in my lap, Mentor filled my heart with not just love, but fresh purpose and perspective. Here was new life for a new future. A new portal to magical adventures ahead! Although Fanta was six when Mentor was born, it was love at first whinny — and despite their difference in age, they became life-long mates. Soon after Mentor’s birth, my life went through big changes. I, too, gave birth to my own baby girl, and then another . . .
And Fanta gave birth to Mentor’s babies, and she and I ended up raising our offspring together — horses and humans bonded like siblings. I got another Tipi, living again on the Earth, with my babies, with my horses — even Nubian milk goats. Once again, close to Nature. Little kids and little baby horses romping, bucking, playing dress-up — inventing their own language, games, rules. My kids and Fanta’s — exploring life. Growing up side-by-side. Eventually my kids grew taller, the horses matured, and we’d all ride together — wild rides through the wilderness. Horses and humans of the same herd — bonded, it would turn out, for generations yet unborn . . . So now, long after my kids have moved out, long after Fanta and Mentor have passed — a new life enters my herd: Red Star Noir! Oh Fanta, you and I, raising babies together again! This one, yet another grand-colt. Born within days of my grand-daughter. And we welcome you, Star Noir, to our family. To our herd. And now, once again, I snuggle you. I breathe in your fresh baby scent . . . rub your fur, scratch your favorite itch spots. And I whisper sweet images of us riding together, flying together — you carrying me, like Fanta and Mentor before. Long live Red Star Noir! 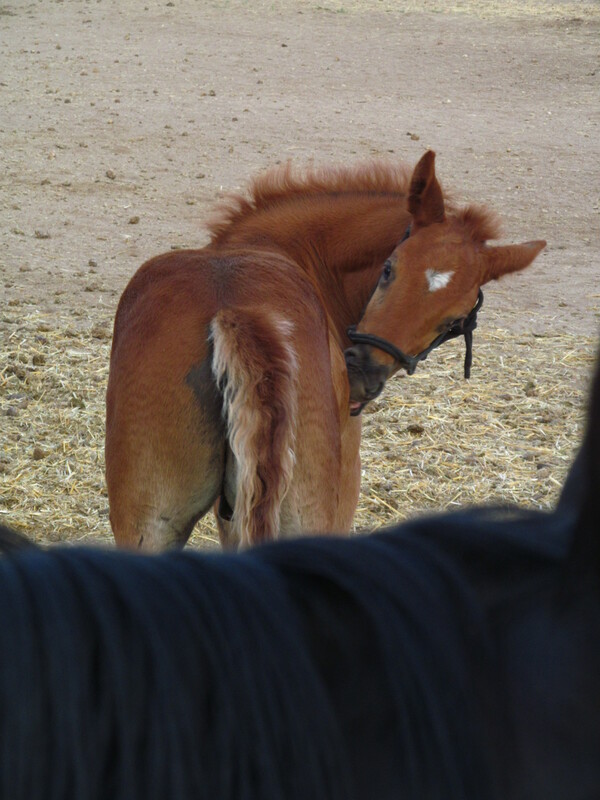 One of the sweetest foals of my life thus far! Thank you — I appreciate the compliment :)) You made my day! Just looked over your blog, and it’s nice to hear from you. I lost track of you for a while. I have great respect for what you do. My son-in-law is a fairly new Paramedic. What you guys do is amazing — saving lives, showing up on scene . . . dealing with the aftermath. Thank you, and God bless you!! I’ll snuggle my baby horse for you :)) He’ll send you innocence to lighten your day. Take care! Oh, Dawn, how wonderful…what great news! Welcome, Red Star Noir, to this planet. I love this post; it is my dream come true, and you are so deserving of all that is miraculous in life. 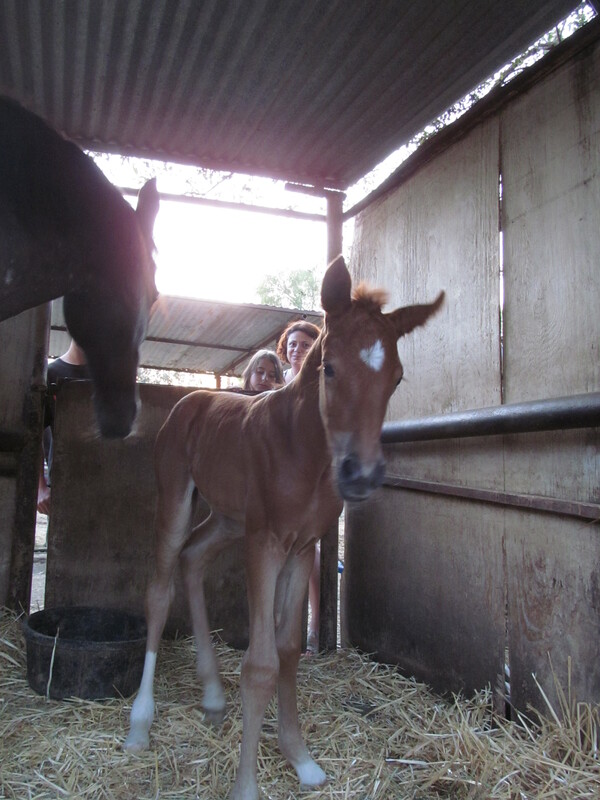 He is a gorgeous foal now. Imagine what he’ll be when he matures! I send blessings your way. Give me a call when you can. Thank you, Patricia!!! Star Noir is fresh and new and full of vigor! 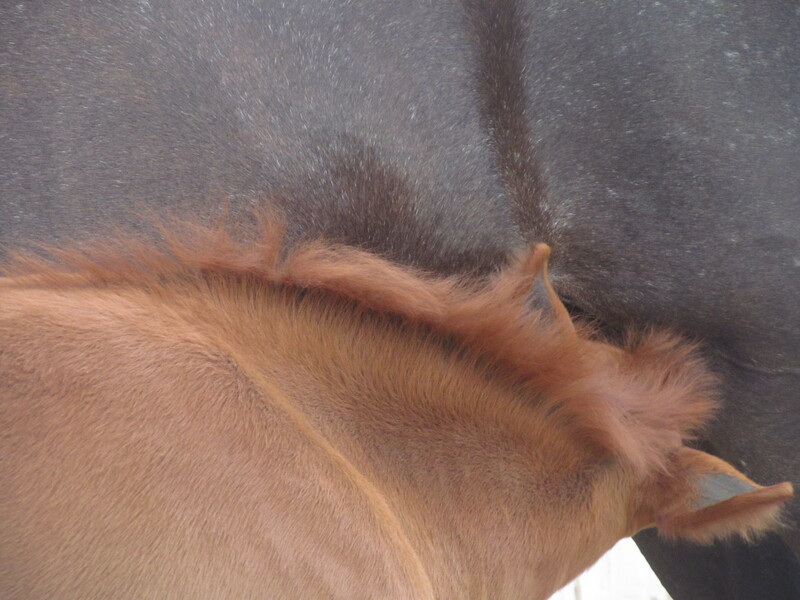 I love just hanging out and holding him, scratching his sweet spots and being horses together. He’s in with “sister” Hokuleia, now 2, and you should see them play! I put a couple logs in for toys and they roll them around and hoover over them — just adorable! Awesome! Very nice! Welcome Red Star Noir! Thank you very much!! His red baby coat is shedding now, dark steel gray underneath :)) Can’t wait to see how he grows up. You are very welcome! Post pics as he’s a growin’ Would love to see’em! This is such a beautiful post, Aunt Dawn. Captivating story! I especially liked reading about Rebel! Thank you :)) Isn’t it amazing to connect with someone we would have otherwise never met, and share such deep secrets of our souls . . . love or hate the internet, it allowed us to meet, and share our stories. What a beautiful story, Dawn. I wonder what happened to Red Star Noir. He should be close to four years old now. Please forgive me if you reported elsewhere about him already and I missed it.